We are currently in the middle of a culinary revolution. Guests at top end restaurants want to feel relaxed, dress casually and enjoy their lunch or dinner without fuss like in the old days. They are also more willing to experiment, to try new things and eat more. This was the main theme of a panel discussion at Chef Sache on the changes that are currently taking place in the restaurant world. 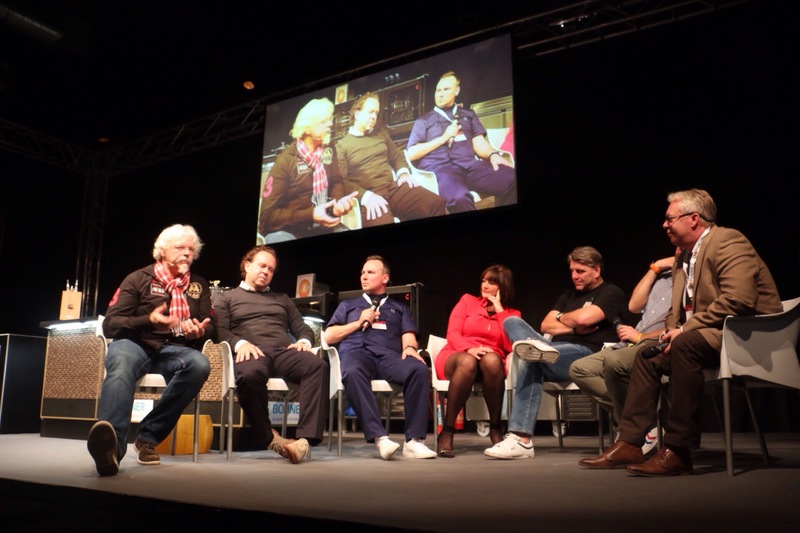 There was agreement among the panel which included Jonnie and Thérése Boer from De Librije, the three star restaurant in Zwolle, Netherlands, that times have really changed. Both Raue and Boer spoke about the importance of the World’s Best 50 Restaurants list. Raue said that being in the top 100 list has meant a flow of international guests who would not have otherwise visited the restaurant. “There are days when our staff do not speak a word of German because all guests come from abroad. But you also need to make sure that you talk to your local clientèle because these are also extremely important. At lunch, we have menus which operate at a loss” he said. Raue was touching upon a trend in many fine dining restaurants around the world to offer lunch menus at considerably reduced prices as a means to attract a more diversified and more local clientèle to their restaurants. Thérése Boer from the De Librije restaurant in Zwolle, Netherlands, spoke about the changes that have taken place over the past few years. “What we have noticed more and more is that people are travelling specifically to eat at a particular restaurant. This is partly because of the World’s Best 50 Restaurants list. Diners are travelling from far away and want to eat a lot. When you travel to eat, you want to get the most out of your experience,” she said. She noted that it was becoming harder to find good people to work in restaurants, but this was still a crucial element in the whole restaurant experience and it was therefore important for restaurant owners to inspire the young generation. But she warned that in some places, serving guests has become too relaxed. “Maybe there is too much change. Staff in many restaurants are dressing too casually with jeans, shirts and sneakers. There is no elegance and we need to find balance.” she said. The German chef added that people today were ready to wear flip-flops to go to a restaurant but still expected quality. Casual no longer meant low quality. He said that eating out is all about the experience. “We need to do more in this regard.” But Boer did not agree, saying that the focus should always be on food. “This is the most important aspect of a dining experience. Entertainment should always come second,” she said. Ralf Nagel spoke about restaurants in hotels and said that many had mixed fortunes.”Successful restaurants are full while others are empty. What you cannot forget today is that you cannot create a brand, put it on a website and expect people to turn up. It has to be part of an overall offering. Guides are important and can help you to develop your brand but every concept needs marketing otherwise it will not work,” he said.